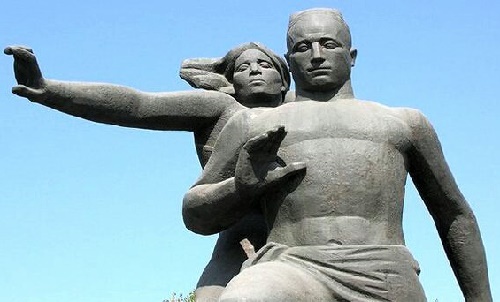 One of the most significant monuments in the capital of Uzbekistan, Tashkent, is “Courage” – Monumental complex dedicated to 1966 earthquake. 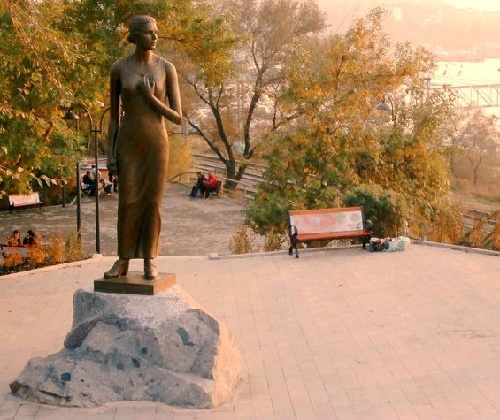 It stands at the intersection of Sharaf Rashidov avenue (in Soviet times Lenin Avenue) and Abdullah Kadiri street. At 5:24, on April 26, 1966, an earthquake measuring 8,3 points on the Richter scale shook the city. The strongest seismic impact changed the face of the city forever. Noteworthy, the epicenter of the earthquake was at a depth of about ten kilometers right under the central districts of Tashkent. 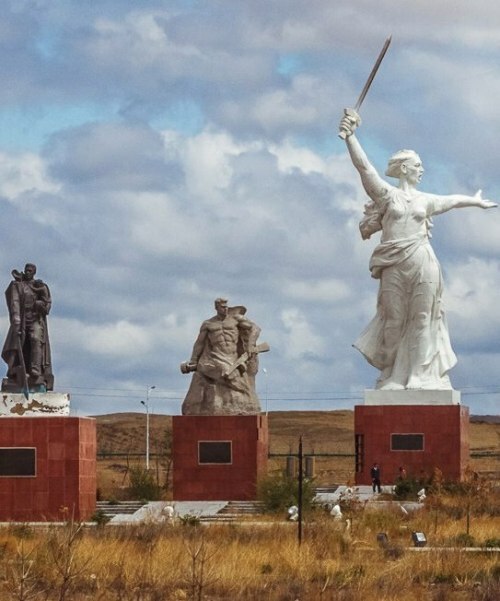 Accordingly, the “Courage” monument appeared later approximately on this place. 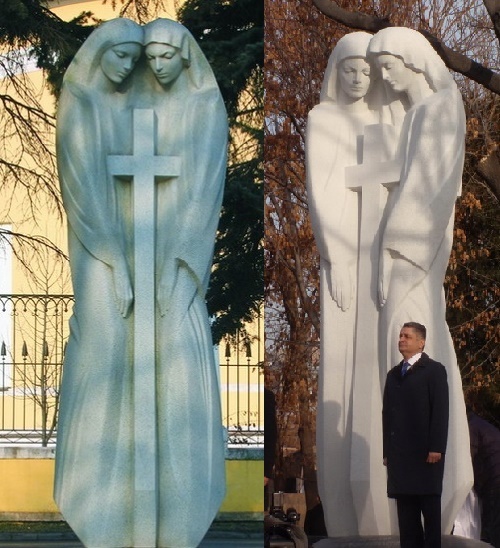 Interestingly, the tragic event which took place on 26 April 1966 has mystic symbols, I mean 26 April – Chernobyl tragedy (1986), and the year 1966 speaks for itself. 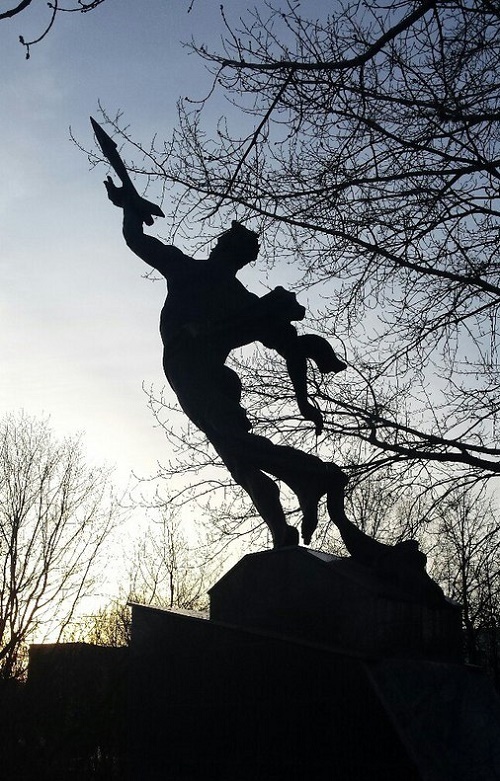 The Sculpture “Towards the Stars” has been installed at the main entrance to the Catherine Park (then park of Central House of the Russian Army) in 1958, a year after the launch of the first artificial satellite of the Earth and the three years prior to the flight of Yuri Gagarin into space. Like Prometheus carrying fire to mankind, the sculpture depicts a young, half-naked and powerful titan in a loincloth. Like a flare into the sky, he launches a missile that rushes into the infinite blue sky toward new discoveries and adventures. Russian Empress Maria Alexandrovna monument appeared in a small Siberian city of Mariinsk, on September 15, 2007. 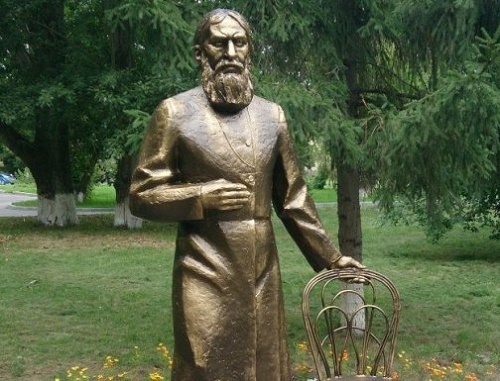 The author of the monument, Tomsk sculptor Leonty Usov created it on voluntary donations from individuals. 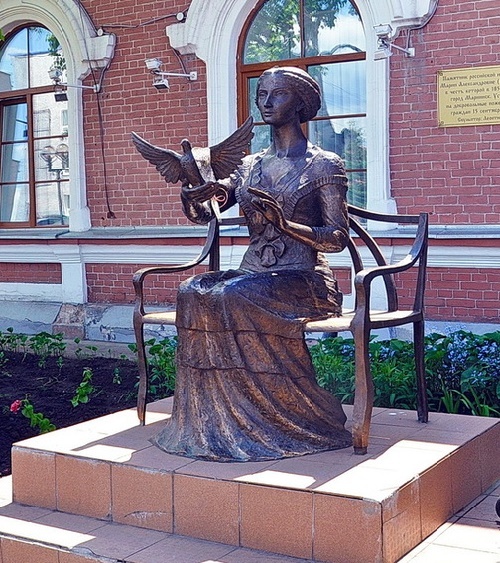 The Empress sits on a bench and holds a dove in her hand – a traditional symbol of peace and the Holy Spirit. The bench has a place, specially left for those wishing to have a picture with her. By the way, the city got its name in honor of the Empress in 1857. Born Marie of Hesse and by Rhine German princess, became known in Russia as Maria Alexandrovna, the first wife of Emperor Alexander II. In addition, in Mariinsk there is also a bust of Emperor Alexander II. Besides, Mariinsk is the only town of Kuzbass (Kemerovo region), which the Russian Emperors have ever visited.